The world is changing and everything has become fast. Our regular mobile handsets are slowly getting outdated as Smart Phones with their latest features, connectivity, design and apps are attracting people towards them. They have started entering every home and office and a rapid transformation is taking place. Letters were once the primary mode of communication. People would write letters, post them and wait for several days for the letter to be delivered and several more to get a reply. Next came in telephones, which were once considered a luxury and was present in 1 in 1000 homes. Later Pager, fax, telex were introduced and communication via text became easy. Mobile handsets brought a change and made both vocal and text communication easy. They ruled people's hearts and hands for several years until dawned "The Era of Smart phones" which took connectivity to an all new level. I had been using my regular handset and was quite happy with it until this smart phone revolution took place. Everywhere I turned, I could see smart phones with great features and apps and slowly I too started wishing to own one. But before buying a new smart phone, research was necessary and research I did. I browsed through various mobile sites in the Internet and bought mobile phone magazines to compare various smart phones, their configuration, features and price. My first smart phone had to be best and I did not wish to leave any stone unturned. I wanted a smart phone that looked good and using which I can browse the Internet, play music, watch videos, take photos, play games, chat using whats app and video call through Skype. 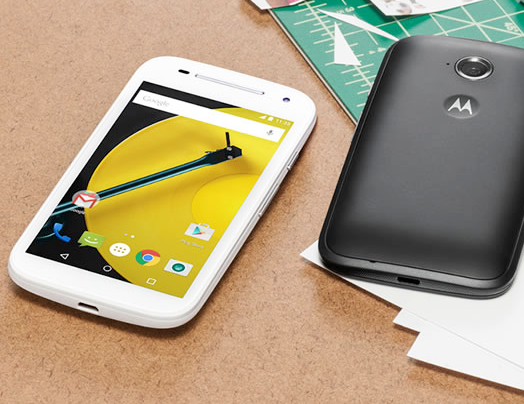 After much research and discussions with my family, I zeroed on the New Moto E. My father had used Motorola handsets before and was currently using Moto E and my brother had a Moto G. So we as a family had a soft corner for Motorola phones as they are efficient and reasonably priced. I first checked out the Moto E website http://www.startwithmotoe.com/ and watched the video which gave a brief insight on what we can expect with the new Moto E. The New Moto E runs on the latest Android lollipop and has a battery that can last all day. It also has a 5 mega pixel rear camera and a 0.3 mega pixel front camera. It has an expandable storage capacity of 32 GB and the powerful Qualcomm Snapdragon processor with 1.2 GHz quad core CPU and advanced graphics makes loading applications fast and ensures that we can switch between apps at the same time without slowing down. The main thing that attracted me towards the New Moto E was that it can be customized using colourful Motorola bands or Grip shells.The New Moto E has all the features that I wanted and the good thing was that it was priced at just Rs. 6999/-. So without any further delay the order was placed and within a couple of days the New Moto E was in my hands. The grip shells that I had ordered came in 6 different colours and I could easily swap to change from one band to other as and when I wished. 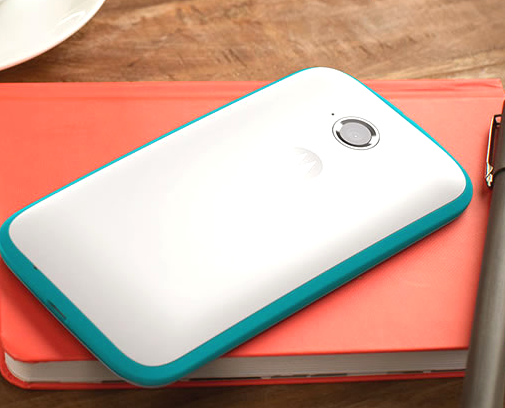 The Grip shells apart from giving a better grip added more colour to the New Moto E smart phone and made it look more stylish and elegant. The preloaded Moto Migrate app made it easy for me to transfer contacts, videos and photos from my old phone to the new one. Moto E also came with Moto display which made sure that I did not miss any notification or update. Another stand out thing in the New Moto E smart phone is the camera feature using which I can easily launch the rear camera with two twists of the wrist and then twist again to launch the front camera for taking selfies. Features like these were only available in costly phones before, but now thanks to Motorola, they are available in phones at a much reasonable price. The New Moto E stood up to my expectations and is one smart phone that I would recommend to people who wish to buy a budget friendly smart phone without any compromise on quality, features and experience. Indeed Motorola has made smart phone not an object of luxury but of choice. 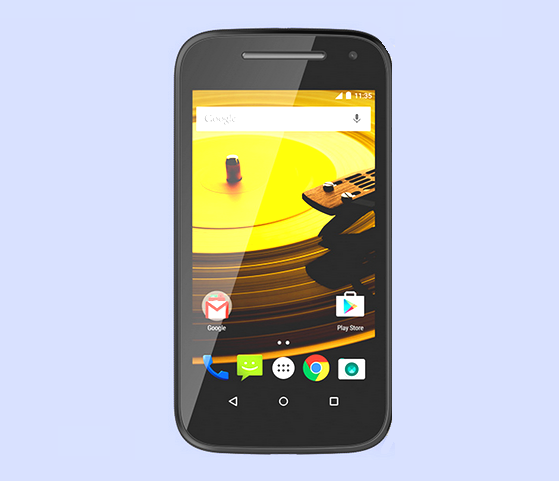 I chose to start my smart phone journey with the New Moto E. What would be your choice? This post is written in association with #Choose to start your smart phone experience with the all New Moto E and Indiblogger. I resisted the temptation of a smartphone for a very long time until last December when my husband gifted me an IPhone 5S for our anniversary. It truly makes life much more easier and enjoyable.